Two women. One show. No ideas. Solution? Ask the great British public. 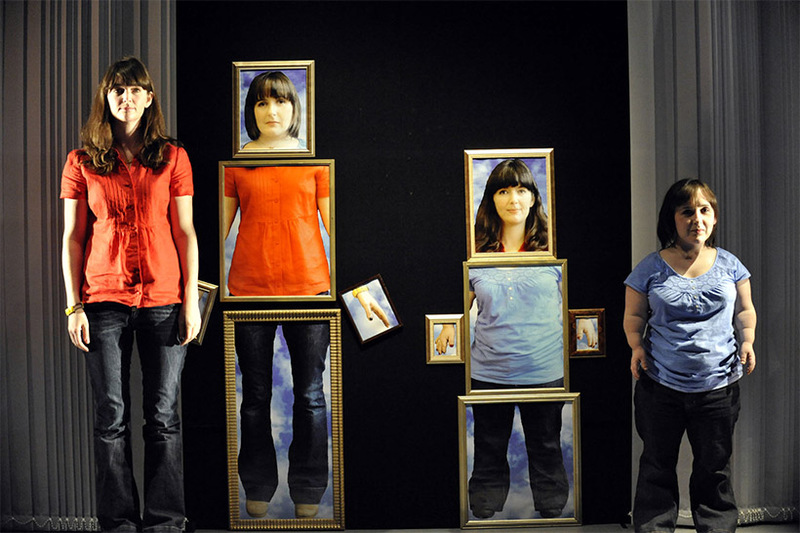 Coming up with an idea for a piece of theatre should be a doddle so Lisa Hammond and Rachael Spence decided to let the public tell them what their show should be about. What people said was funny, heartfelt and sometimes jaw-dropping. Asking the public to write their show seemed to be a great idea but slowly they realised that something was happening that neither of them could have predicted; something very strange indeed... No Idea was created as an Improbable Associate Artist Project, a programme where Improbable provide artistic, production and mentoring support for our Associate Artists and artistic collaborators. They stem organically from a genuine creative and administrative partnership with Improbable. No Idea received its first work-in-progress showing at the Lyric Hammersmith in 2009 before touring the UK to Manchester, Liverpool, Ludlow, Plymouth, Birmingham and Bristol before playing an extended run at the Young Vic in London in July 2010. In December 2010 it went on a British Council tour to Syria and Egypt, playing in Damascus and Cairo. Devised and Written by Lisa Hammond, Rachael Spence and Lee Simpson Directed by Lee Simpson Designed by Ben Stones Lighting Design by Colin Grenfell Sound Design by Gareth Fry Performed by Lisa Hammond and Rachael Spence.